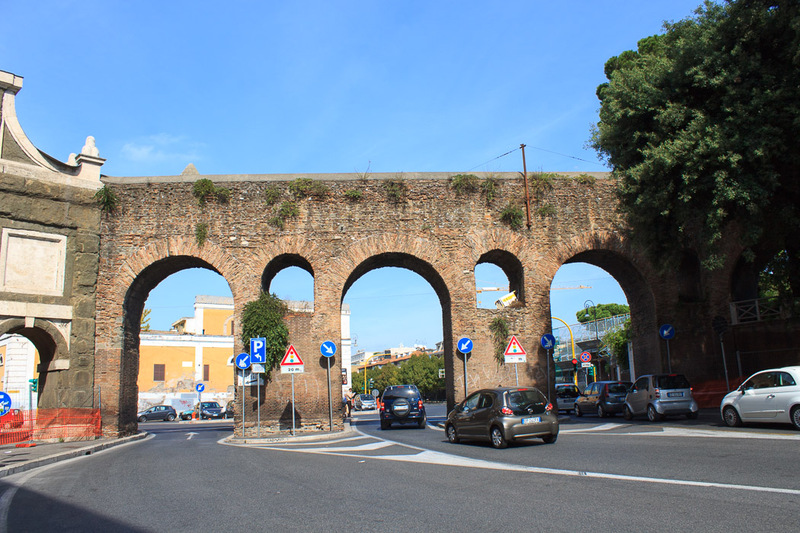 The Aqua Felice is an aqueduct completed in 1586 by Pope Sixtus V whose birth name was Felice Peretti. 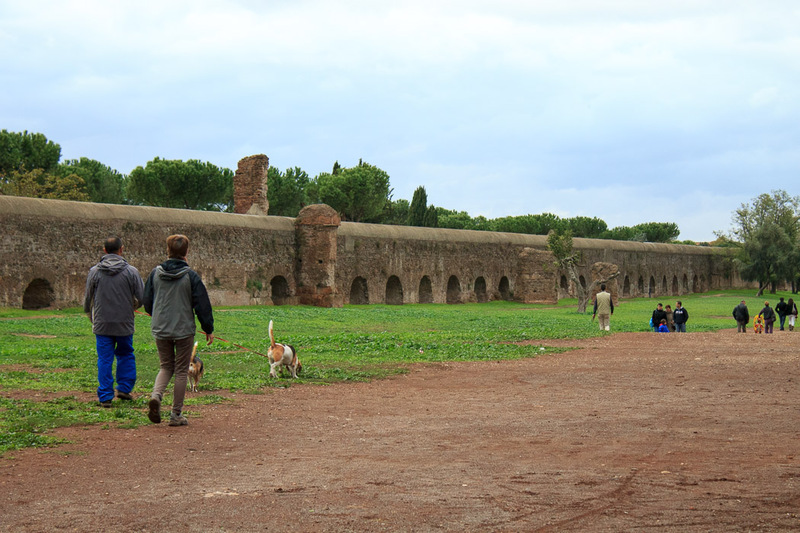 This was the first new aqueduct of early modern Rome. It runs for 8 miles underground, then 7 miles above ground to its final destination at the Moses Fountain (Fontana dell'Acqua Felice). The aqueduct is visible in Aqueduct Park (1st photo below), and on the northeast side of Termini, beside the Triumphal Arch of Pope Sixtus V (2nd photo below). See all Aqua Felice photos.